In recent years Michael has practised in a broad range of areas including, commercial, corporations, trade practices, sale of land, mortgages, landlord and tenant, professional negligence, equity, constructive trusts farming disputes, testators family maintenance, building and construction, administrative law and town planning. 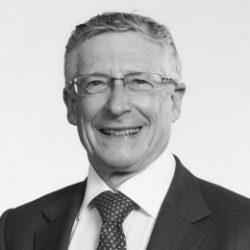 Michael is a fellow of the Chartered Institute of Arbitrators (UK) and an Associate of the Institute of Arbitrators and Mediators Australia. Michael is a nationally accredited mediator and a Victorian Bar Accredited Advanced Mediator. He is on several panels including the panel of Franchised Dispute Mediators under the Franchise Code. Michael chairs the Dispute Resolution Committee of the Victorian Bar. He is on the Board of Methodist Ladies College. He is Chairperson of the Human Research Ethics Committee for the Inter Church Trade & Industry Mission Australia Inc. and the Christian Research Association. He was a resident representative on the City of Boroondara West Hawthorn Urban Design Framework Committee.